It is all so cute! 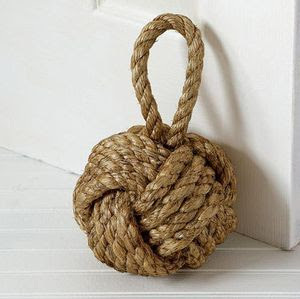 I love that door stop - have seen it before and love it!! Oh the pink toile bag is super cute and I also fancy those coral bowls. 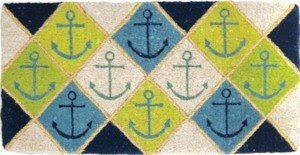 However, I think you NEED to purchase that welcome anchor mat Kate- it is SO you! ohh all so lovely! I really love the doorstopper and bench! 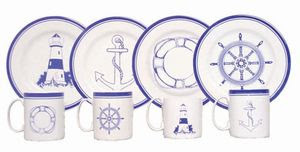 I bought those plates for my parents' summer home just last week! 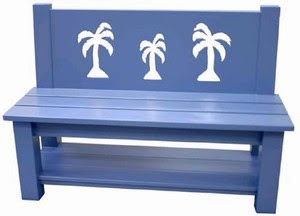 LOVE the bench and the Scout Bag... wishing the bench wasn't $1k though! (Although, I do love how many colors it's available in!) Could be an easy DIY project that's easier on the wallet. 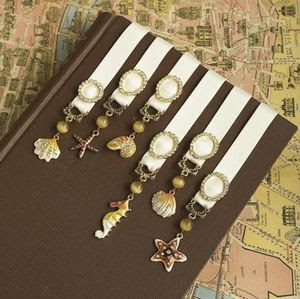 Love all these super cute items! That doormat is adorable. Precious, precious, precious. Love the rug and that damask wallpaper in the background! 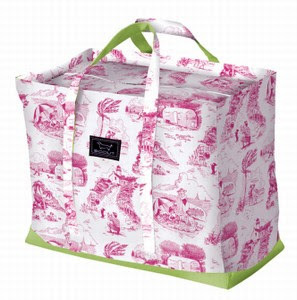 The totes are to-die-for. I LOVE the door stopper! I think the Cape House needs one. I have a keyring similar to the door stopper you have post. A father's friend from my dad made me by had. He is a sailor. Miss Kate, what a wonderful link, we love Mermaid Hut! Cute, cute stuff! It's funny, we just put in our order for those rugs at the Chicago Market, they are fabulous! (The first one.) We bookmarked them. PS: did the voting thing - hope it's not too late. 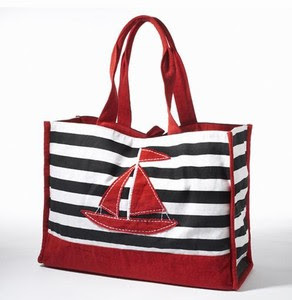 Love the coral bowls and sailboat tote. Great finds! Love it! I'm following your blog just to get some more inspiration! It's all so cute, but I LOVE the bowls - they're so awesome! Love all of it. You have great taste. Love the bowls and pink and green tote! What fabulous finds! How do you always find great stuff? 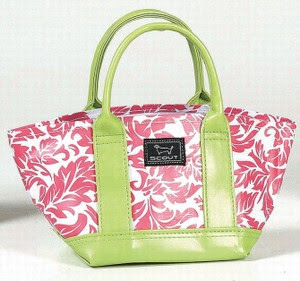 Lovely sailboat and pink and green tote! I really like the doorstop and bowls too! I just saw this post and OMG. Those bowls are exactly what I need for my coffee table. I love coral so much. Thank you!